Laurence Fishburne is Perry White in MAN OF STEEL! The only actor I could think of for Daily Planet editor Perry White in the upcoming Superman movie Man of Steel was Clancy Brown; Perry was the only character I didn’t have at least a few good casting ideas for. But, as has become the standard for casting on this film, director Zack Snyder and producer Christopher Nolan are doing just fine on their own. 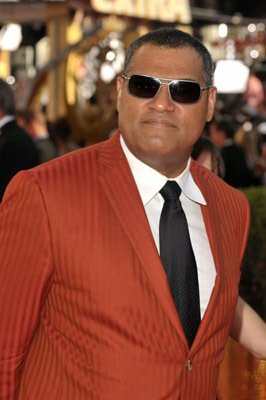 Entertainment Weekly exclusively reports that Laurence Fishburne, who has made an incredible career playing characters from affable Cowboy Curtis on Pee-wee’s Playhouse to hard-as-nails mentor Morpheus in the The Matrix, has been cast as the big boss at Metropolis’s best newspaper. And I love this. I can just imagine a younger Fishburne as a younger, hungrier Perry, and how awesome he’ll be at reflecting Perry’s love for old-school journalism against the changing face of the newspaper industry and the decline of print media. And then, of course, Superman will show up and change everything. Fishburne joins Henry Cavill as Clark Kent and Superman, Amy Adams as Lois Lane, Michael Shannon and Antje Traue as Kryptonian villains General Zod and Faora, Diane Lane and Kevin Costner as Clark’s adoptive Earth parents, Jonathan and Martha Kent, Russell Crowe and Julia Ormond as Clark’s Kryptonian birth parents, Jor-El and Lara, and Christopher Meloni and Harry Lennix as American military generals. Man of Steel will believe in Truth, Justice, the American Way, and YOU on June 14, 2013! First Photo: Henry Cavill as Superman in MAN OF STEEL!